The conference aims to denounce from the traditional thinking of“artist inresidency”, such as, requiring residency artists to produce and present the result, or, set up a studio. To depart from the traditional “result-oriented” residency, Shouldn’t the core value of “artist-in-residency program (AIR),” especially in nontraditional project based AIR program, be clarified that the “out-put value” of AIR experience is the “process” instead the actual “product.”As a curator, not anart creative producer - such as an artist, how can thecuratorial residency experience be presented in other imaginary ways instead of a “thick and voluminous paper”? In the concept of contemporary arts, eachindependent curatoris a “one-person institute”that operates independently with mobility and autonomy. Theability to circulate freely and provisionallyare reflected by the enormous flexibility which allow operations to be altered in all directions, in lateral and longitudinal hierarchy. The curator not only highly dependents ondifferent platforms to actualize his/hercuratorial projectbut also needs to extend his/her residency place occasionally in order to broad and extend his/her research.To curators, the residency experiences are a spontaneouspursuitof learning that differ from hands on practice. As, the AIR organization may be able to provide resources according to the research approaches during residency period; In addition, during the process, it not only helps to stimulate curator’s ability to build connections but also enrich its’ network internationally and build a multifarious art community;therefore, it brings contribution back to one’s curatorial research, draw more awareness to a specific long-term contemporary topic. 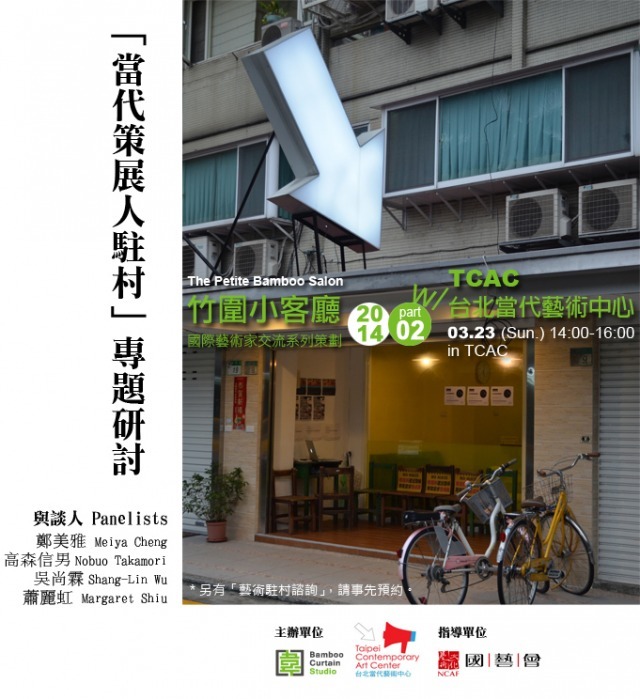 This conference is a collaboration between Bamboo Curtain Studio and Taipei Contemporary Art Center. It is part of “The Petite Bamboo Salon,” a serial conferences focus on various topics of contemporary residency, organized by Bamboo Curtain Studio. Meiya Cheng (b. 1975,) is a freelance curator, and now the chair of Taipei Contemporary Art Center. She lives and works in Taipei. Cheng focuses on the exchange mechanism of labor and value, and the structural issues in art production. She intends to discuss the possibilities of creating an open structure in institutions, and if such models could serve as a mechanism to create changes in the system. CHENG participated in the founding and operation of Taipei Contemporary Art Center since 2009. With teamwork as the working model, she tries to builds up an alternative model that constantly examines and self/examines institutional the conditions in art production. Wu is a new media artist born in Taipei in 1974. His work explores how images from the internet influenced psychological states and the fluidity of time and space. His practice includes installation, theater, film, and curating. In just the last year, his work was featured in Taiwan’s “YES!” Biennial at the Taiwan Nation Museum of Fine arts, the “Digifesata” Gwangju Biennlal (Korea), “The Butterfly Effect” at the He Xiangning Art Museum (China), and “Move On Asia2009” at Gallery Loop (Korea). His interactive installation work “Mi-Lou-Taipei” has entered the permanent collection in Taiwan National Museum of Fine Arts and was exhibited at in the Gwangju Museum , Busan Museum of Art in Korea and Guandong Museum of art in China. A PhD candidate in National Chiao Tung University Institute of Applied Arts, Takamori is an independent curator and the founder and director Odyssey Factory. He is also an art critic and an instructor at Yuan Chi University and National Taipei University of the Arts. Takamori dedicates to integrate cross-discipline art in Taiwan, to make exchange and interact in the field of contemporary art internationally, and developing experimental curatorial methods. Wu Shang Lin is a New Media artists who works in several field of disciplines such as photography, recording, andperformance arts. Wu currently lives in Taipei. In 2007, Wu received his MFA form ESC Dijon, France. In recent year, he has been a residency artist in South Korea, Taiwan and Japan. Wu’s work focuses on the issues caused by the rapid expansion of contemporary cities. By combine personal experiences and communication with others, he present a diverse perspective of how each individual coped with different circumstances at the moment. Margaret Shiu is an artist, curator, and the founder of Bamboo Curtain Studio. She has held many conferences, researches, and activities in international culture exchange, specifically in international art-in-residency program. 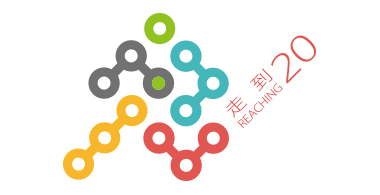 At the same time, Shiu is also a pioneer inresidency and culture exchange project which encourage and promote Taiwan artists residency programs, through international cooperation and exchange. Shiubelieves the core of a creative culture industry is the “original creator.” Therefore, it is important to help potential artist, innovating minds and international visions, and puts her international resources and research and become an incubator.